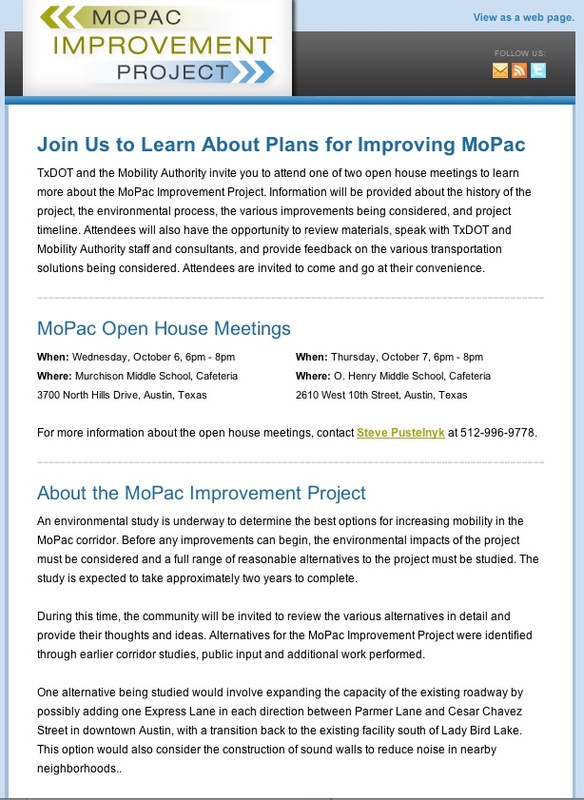 TxDOT and the Mobility Authority invite you to attend one of two open house meetings to learn more about the MoPac Improvement Project. Information will be provided about the history of the project, the environmental process, the various improvements being considered, and project timeline. Attendees will also have the opportunity to review materials, speak with TxDOT and Mobility Authority staff and consultants, and provide feedback on the various transportation solutions being considered. Attendees are invited to come and go at their convenience. 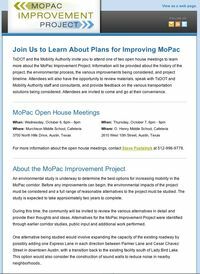 For more information about the open house meetings, contact Steve Pustelnyk at 512-996-9778.